Notes: This gin is made in a 400 liter Ulrich Kothe hybrid copper pot/column still with a a blend of organic ingredients (five: juniper, rosemary, lemon, grapefruit and ginger). We refer to it as a New World style gin to differentiate it from other types of more traditional gin, such as London Dry, Old Tom, or Genever. Some of the more important aspects (of which there are actually many) are thus: they do their own in house grinding/milling of a entirely New York State wheat then do in house fermentation and distillation of their wheat base spirit wheat, which is unusual in that many other gin producers use NGS (neutral grain spirit or food grade ethanol usually from corn) as a base. This is further complicated by their not using any GMO yeast, fermentation aids or defoaming agents (which sadly many others do). Their fermentation and distillation is much more expensive and labor intensive, but the payoff is that they get a base spirit with a lot of character- something distinctly lacking in NGS by design. 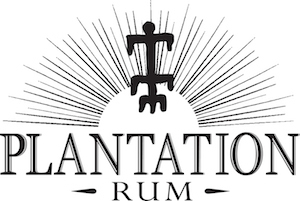 Another point is their distillation of their botanicals- done in three separate runs so they can fine tune the distillation and extraction for each botanical and capture the exact elements of each one. Appearance: Crystal clear, limpid pool coats the glass on swirling, which then start toform droplets and then slowly become legs and beads. Slightly oily appearance to body (sign of quality). First Impression: The bouquet is quite distinct with a lovely grainy background much like a vieux systeme (old system) quality genever/jenever coupled with a nicely aromatic mix of botanicals and a lighter juniper quite intriguingly different from a regular gin, a broad flavor base that binds the juniper,citrus and ginger into a harmonious blend with the lavender and other ingredients.The resulting melange is earthy, floral, citrusy and spicy in a way I have never encountered before in a gin before. Bravo! Taste: Medium silky body with a wonderful nice slippery feel to it. Very aromatic blend of (mostly) citrus, spice, and a lovely grainy/bran taste and mouth feel . Mild tingling on the lips and tongue from all the spices. Interesting heavy notes from the grain coupled with the grapefruit and ginger notes to give it zest and warmth without the overload of Juniper some gins rely on. Smooth, citrusy, wit the lemon and rosemary providing lighter notes and with the juniper being a lighter less sap and tarlike than the usual. Drinks: Makes a excellent martini with far more depth and complexity than many gins and in a while different (and pleasant) direction. Very complex gin and tonic (please use Fever Tree, not some corn syrup), great breakfast drinks (think Ramos Gin Fizz). Great Tom Collins, and other drinks calling for either Old Tom or American or Genever gins (in your older mixology books) This may be someones chance to come up with some exciting cocktails. We are excited about it and look forward to some further research with it. Bottle: Short cylindrical bottle clear glass bottle with with a slight punt to the bottom for a nice visual effect. Distinctive shoulder squared off (rather than sloped) shoulder . 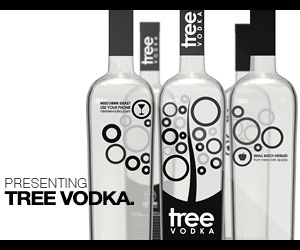 Label graphics are silkscreened directly on the glass . Longish neck, black wax seal (with a delightfully easy to open almost dental floss pull that makes it infinitely easier to open than most wax seals we have encountered were we have been reduced to using sharp objects and heat to open when their ribbons break). With black composite cork finish a tasteful package. Somewhat distinctive and easy to spot makes it easy to find on a store of bar shelf. Final Thoughts: A very exciting New World gin and a alternative to the tyranny of Juniper. 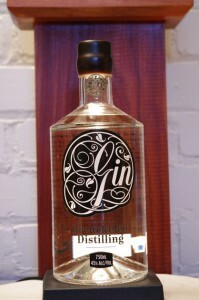 Excellent mix of botanicals and grain charactersitics make this a singular and unique gin. Quick loading, and very informative and up-to-date. A outstanding website in terms of design and quality of information.